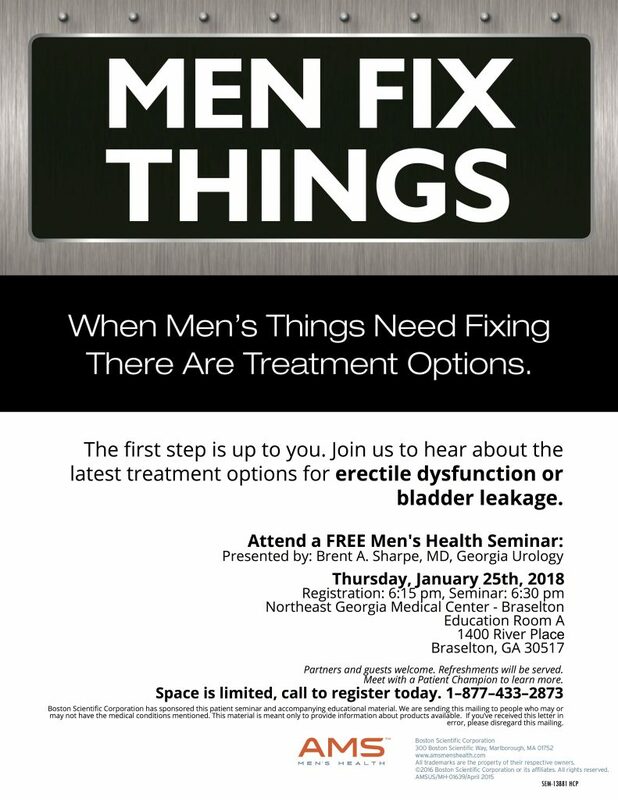 Join the physicians of Georgia Urology as we host FREE men’s health seminars throughout Georgia this January. 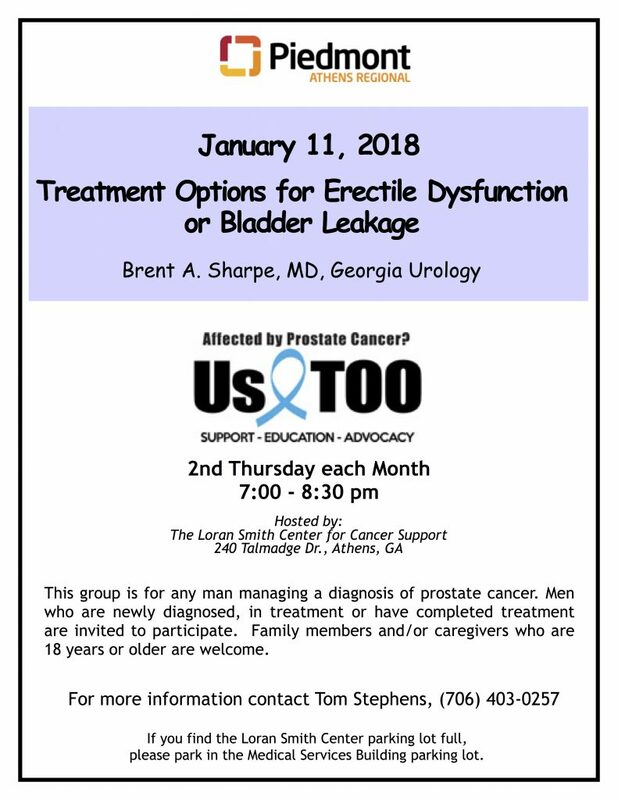 Dr. Brent A. Sharpe will be talking to the Braselton and Athens communities about identifying and treating erectile dysfunction and bladder leakage. Below is more information on the events. We encourage anyone seeking information about these conditions to come out and learn more while enjoying complimentary refreshments! Partners and guests are welcome. January 11, 7:00 – 8:30 p.m.